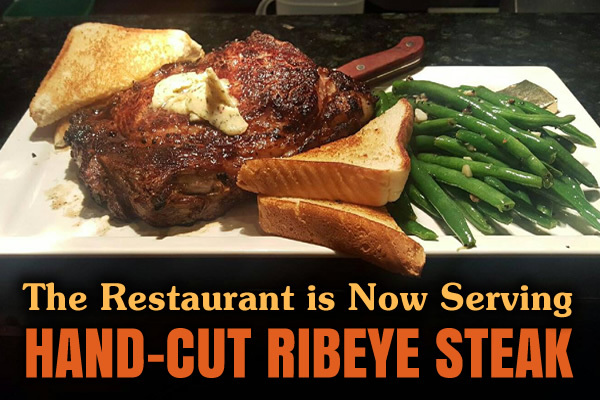 Friday – Sunday our restaurant at 103 Country Club Lane in Galax is now serving Hand-Cut Ribeye Steak with delicious sides like Bourbon Glazed Mushrooms, Steamed Broccoli, Green Beans, Mashed Potatoes and our famous Side Salad. We also have several other featured specials that will make your mouth water. Come on down to the bottom and check it out soon!